Being able to show my daughters how I love cooking for our family just like my mother did when I was growing up is such a joy! 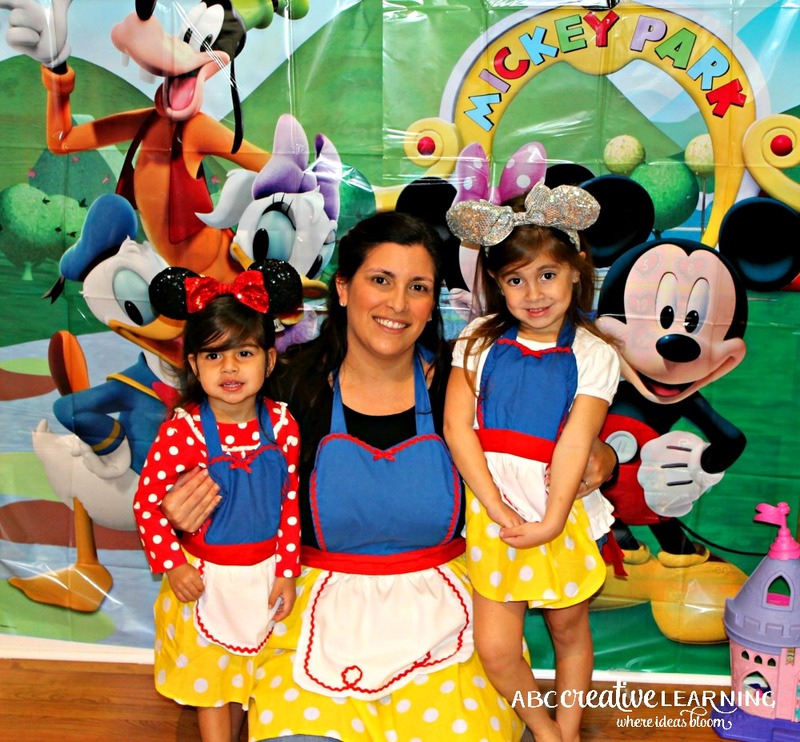 Not only do I get to spend quality time with my girls, but it also brings back memories of times in the kitchen with my own mother. I will admit that at one point no one in my family thought I would ever learn how to cook and for a latino family that is a big deal! Now it’s my favorite way to spend time with my girls. One of my girls favorite meals is pasta, so I wanted to make a special pasta recipe for them shared by Barilla® which I thought my husband and they would love! To purchase all of my ingredients I headed to my local WalMart. 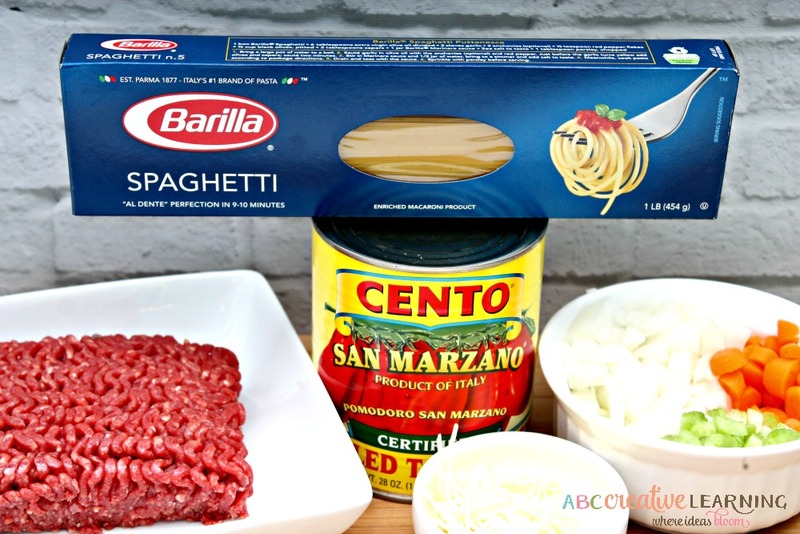 There I found the Barilla® Spaghetti, plus all of the other produce and ingredients needed to make Barilla® Spaghetti with San Marzano Tomato & Meat Sauce. I absolutely love that this recipe only took me about 20 minutes to make. Now that’s my kind of cooking! Step One: Place a pot of water to boil. 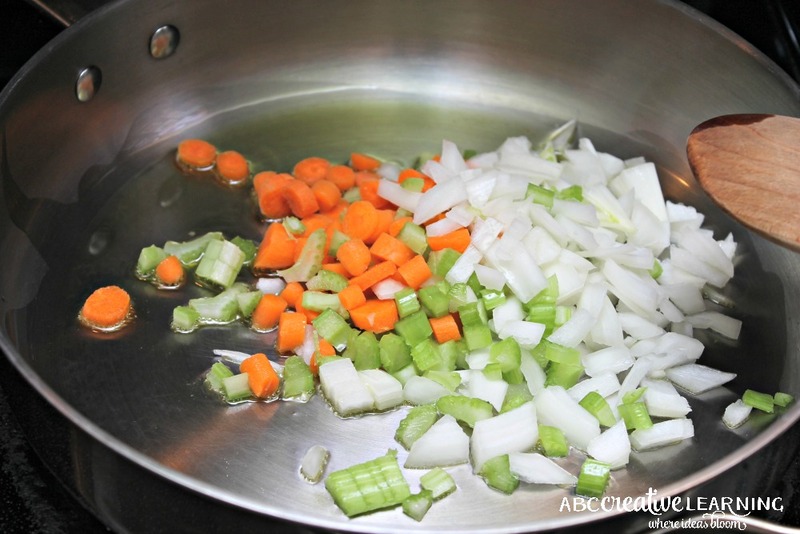 Step Two: While water is boiling, in a large skillet, sauté the onion, carrot and celery with the extra virgin olive oil. Step Three: Add the meat and cook until completely browned and no red is visible. Step Four: Incorporate the tomatoes and 1 cup of water, season with salt and pepper to taste and bring to a simmer. Step Five: Cook pasta in the boiling water according to the package directions. Step Six: Drain pasta, toss with sauce, and top with cheese! Being able to see my family enjoy something we made together is such a joy! Plus, with such an easy and fast recipe I can guarantee this Mother’s Day is going to be extra special! Place a pot of water to boil. Meanwhile, in a large skillet, sauté the onion, carrot and celery with the extra virgin olive oil. 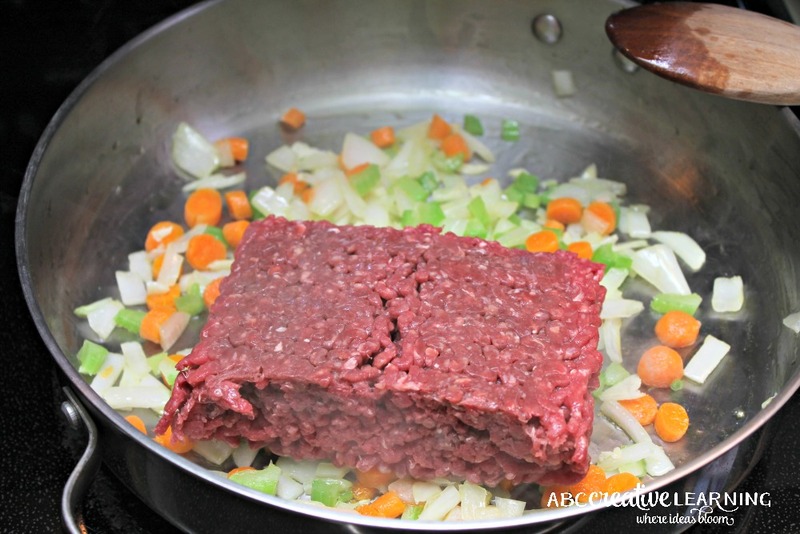 ADD the meat and cook until browned well. 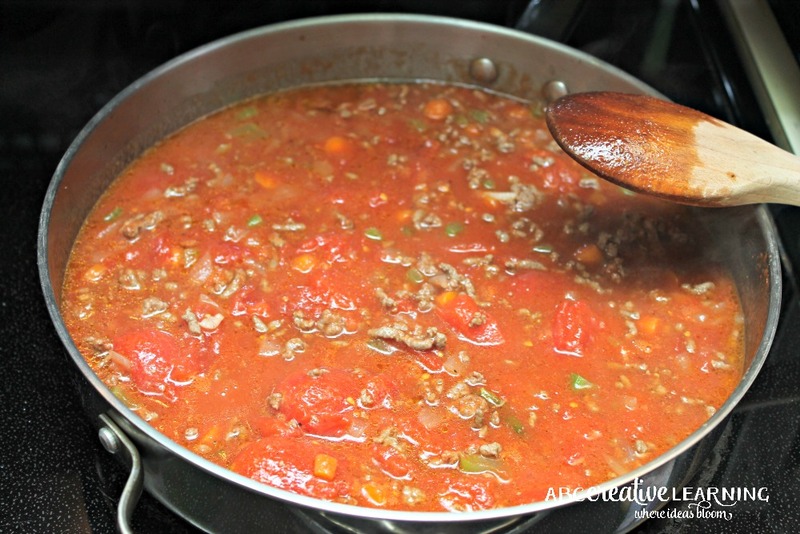 Incorporate the tomatoes and 1 cup of water, season with salt and pepper to taste and bring to a simmer. 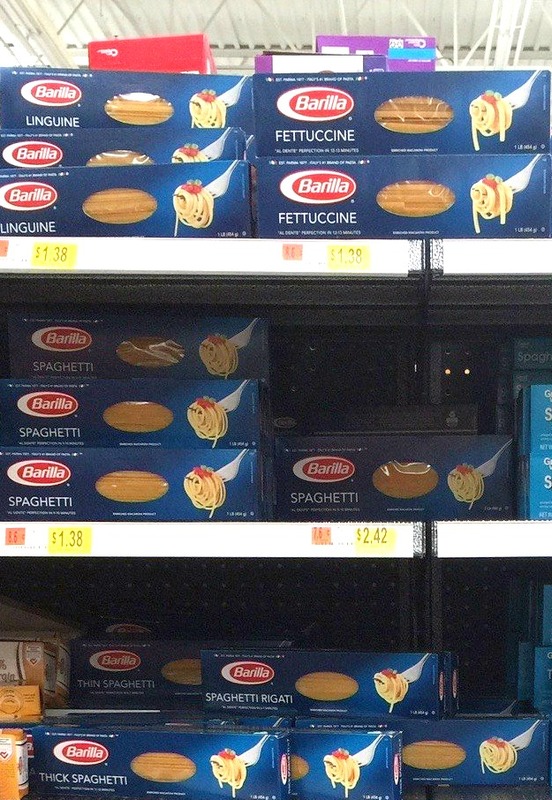 Cook pasta in the boiling water according to the package directions. OPTIONAL: After the meat is browened, you can deglaze the sauce by adding the wine and let it reduce all the way. Tell me how you celebrate the Mothers in your life? Looks delicious! 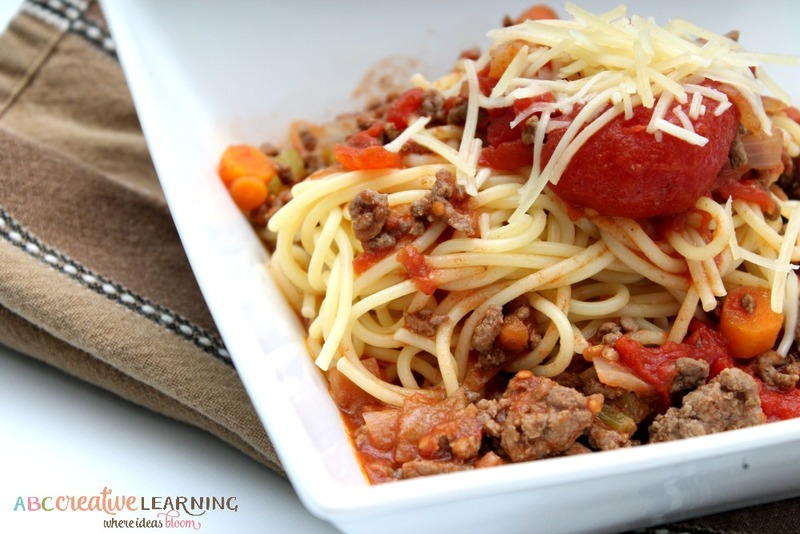 We love meat sauce here!